Many books have been written about the California Gold Rush, but a geographical-historical dictionary has long been lacking. 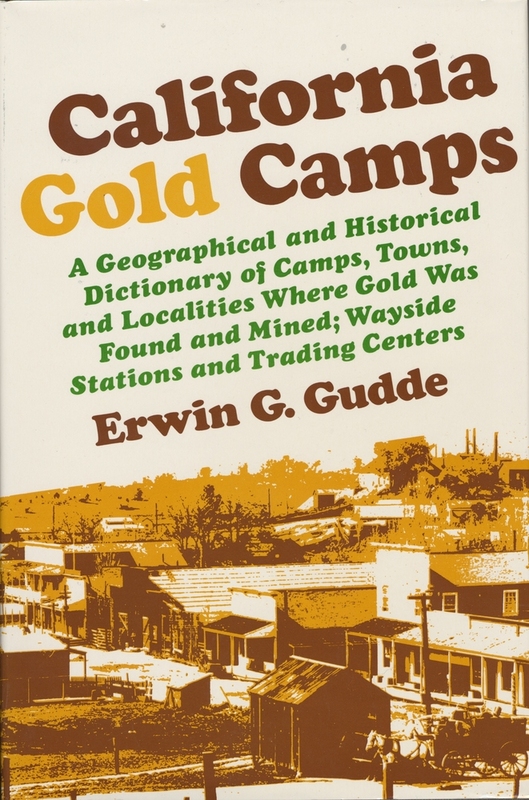 With the publication of California Gold Camps, a monumental project has been completed. California Gold Camps is a basic reference that will be indispensable to the historian, the geographer, and to the general reader interested in California's colorful past. Erwin G. Gudde was a member of the University of California, Berkeley faculty, Department of German, for many years. His many publications include Bigler's Chronicles of the West and California Place Names.